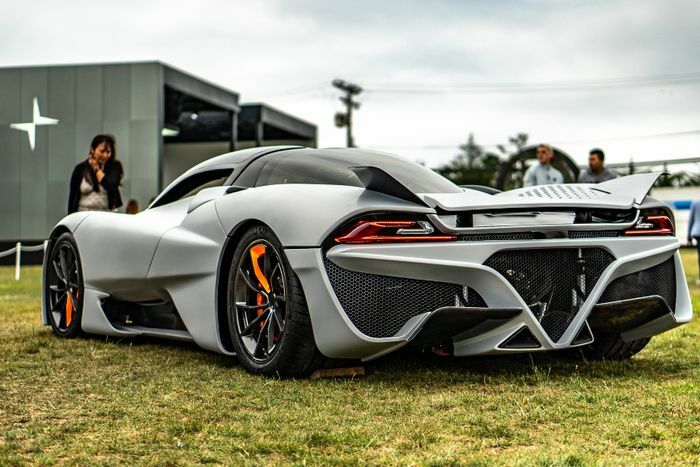 The SSC Tuatara is the only road car with a chance of smashing the 300mph barrier, according to its makers. “The knowledge I have of our competitors, I feel that we’re the only ones that really have a legitimate shot because of the drag numbers and the horsepower that we’re producing. That’s obviously aimed at Hennessey, which is also said to be gunning for 300mph with its Venom F5. 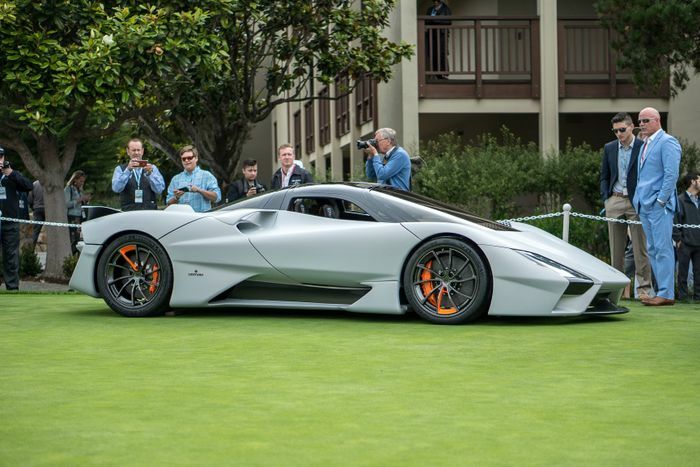 The Tuatara, whose name sounds a bit awkward to British ears, is still under development but was revealed in late-stage concept form at the Pebble Beach Concourse of Elegance recently. The clever mid-mounted V8 can run on ordinary roadside unleaded petrol to produce 1350bhp, E85 racing fuel to cough up a healthy 1750bhp, or any mix of the two with a sliding scale power output. Fuelling with half-and-half will give you 1500bhp or so. It’s a twin-turbo 5.9-litre V8 with a flat-plane crank and two injectors per cylinder. Fuel efficient? Probably not, but the short-stroke engine revs to 8800rpm and apparently sounds immense. We can’t wait to hear it at full chat. 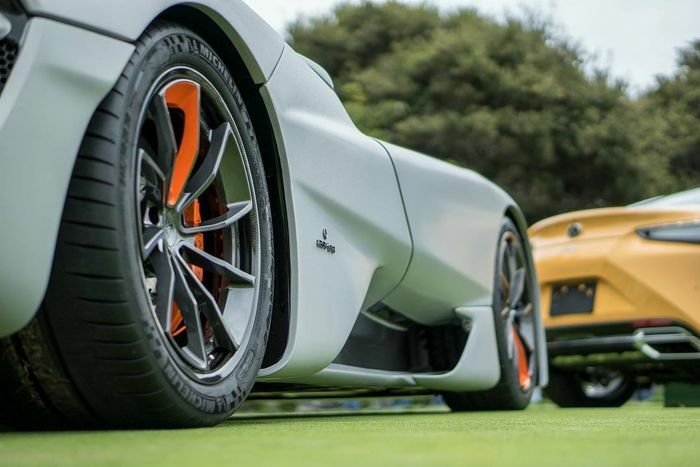 Aerodynamics are proving crucial to the car’s attempt at the 300mph mark. 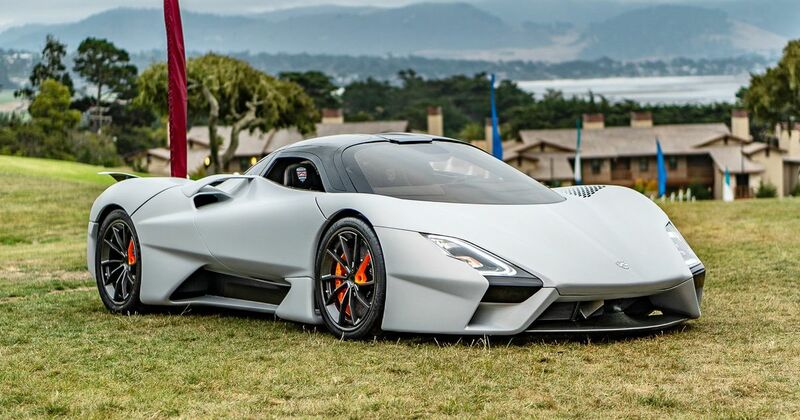 SSC says the Tuatara’s present form has a coefficient of drag measuring 0.279, which has “already exceeded where we want to be,” says Shelby, but needs refinement to cope with the sheer relative velocity of the air it will need to slip through. Apparently, the planned improvements will simultaneously lower drag even further while increasing downforce. Whether it really will hit 300mph is something we can’t know yet. Development is set to hand over to production in May 2019, with the first deliveries from the 100-car run commencing between one and three months after that. You’ve ordered one, right?